Free play at several stations to figure out how magnets work. 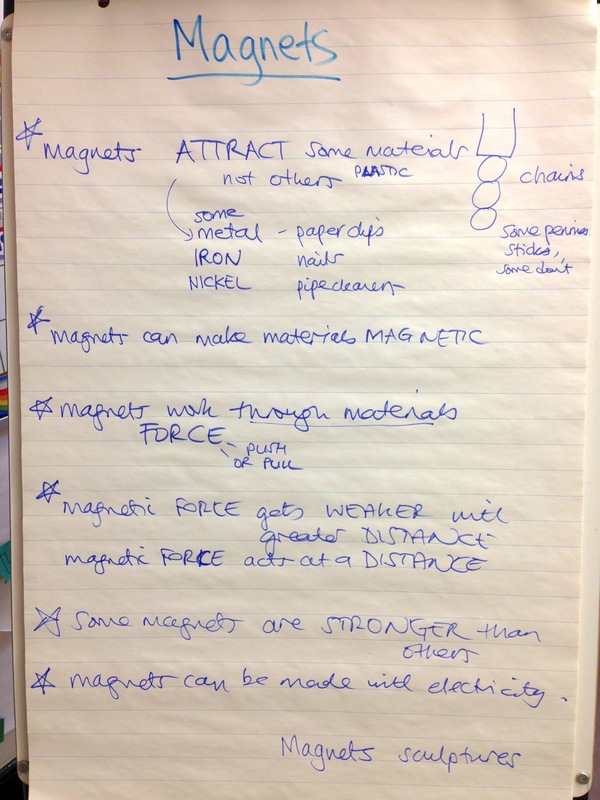 Then guided activities to explore other uses of magnets: compass, electromagnet, magnet art. Magnets: what sticks to them? This is a long lesson. Run magnet stations with a small selection of activities. Ask what is the biggest magnet they can think of.... the Earth. Make the compass. Make your own magnet using electricity. Make the electromagnet. Make a device that works with a magnet:a speaker. For a messy but beautiful art project, make and photograph magnetic field patterns in oil.